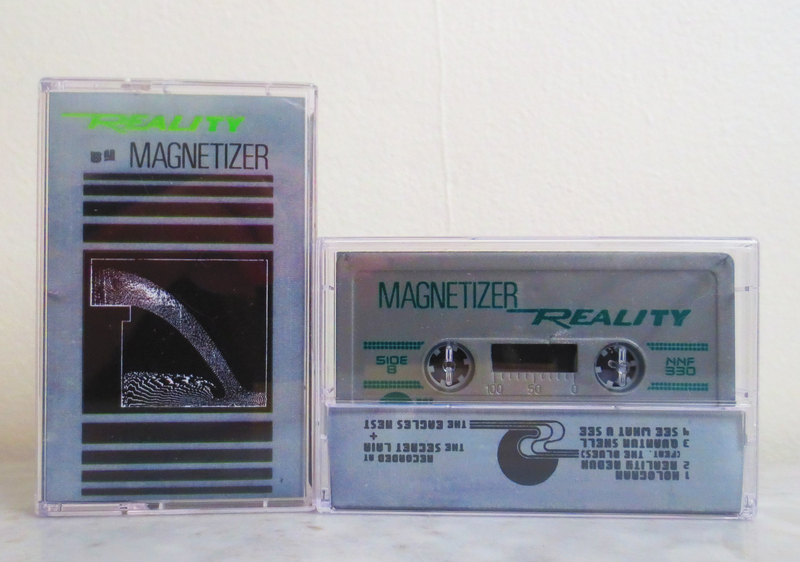 Oakland’s self-described “emotional machine funk group” Magnetizer traffic a uniquely wacked fusion of brooding cyberwave, maniacal acid, trash fire block party, and psychedelic noise, operating in relative seclusion since 2012. 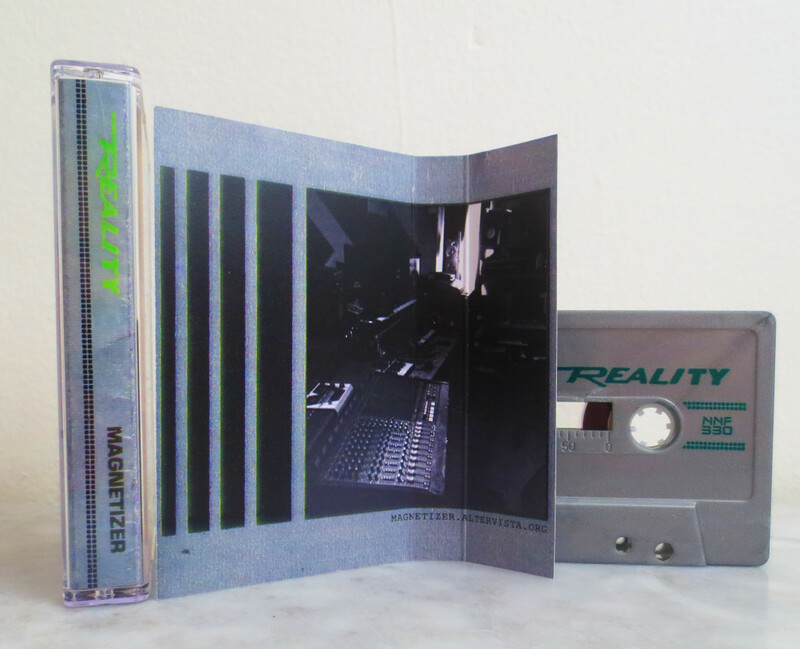 Captained by Jackson Blümgart aka Wormhole, the project has grown increasingly defined and dynamic, culminating in this year’s Post-Body EP for Goaty Tapes. Gunked machines and rusted artificial intelligence are harnessed and hacked into derelict body music anthems both long-form and concise, strafed with cryptic grit: alien monologues, lunatic skronk, sequencer squelch, decrepit dub. Reality furthers the vision, four blasted tunnels of claustrophobic haze, chemical groove, and mismatched cables snaking through stagnant water. Life is wasted on the living. Recorded and mixed by Wormhole in 2016. Design by Britt Brown.